Since flooring is found in every room in our homes, extra care needs to be taken regarding what you and your family are walking on. 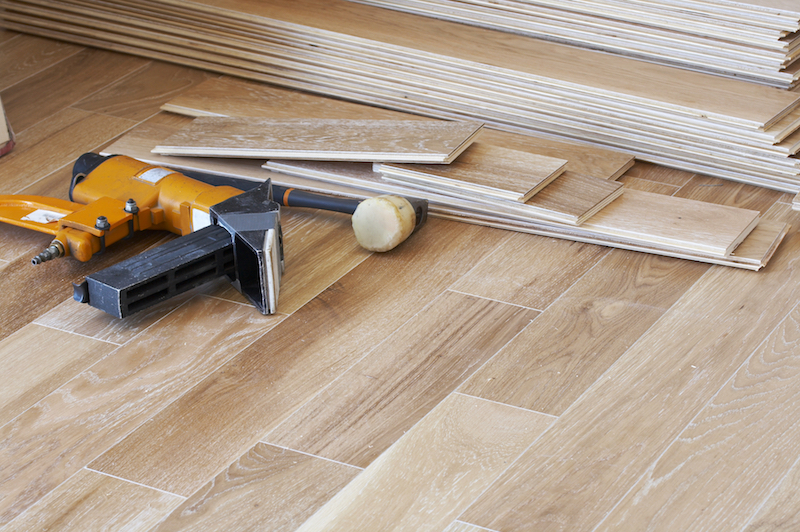 Common types of flooring include laminates, engineered wood, hardwood, vinyl, ceramic, linoleum, and carpet. Chemicals within these products can lead to a wide array of health issues and often continue to leach toxics into the environment for years. Children under the age of six are especially vulnerable as they spend more time on the floor, have a higher incidence of hand-to-mouth behavior, have higher levels of absorption, have a faster inhalation rate and smaller body mass, and experience rapid central nervous system development. The industry is responding to consumers who demand healthier products. Safer Chemicals Healthy Families runs the Mind the Store campaign which has successfully partnered with flooring retailers to phase out vinyl flooring that contains phthalates, a type of chemical that makes plastics more flexible but is hazardous to your health. Since 2015, Home Depot has stopped carrying phthalate-ridden vinyl flooring and other retailers such as Lowe’s, Lumber Liquidators, and Menards have jumped on board. Manufacturers are listening to customers as well. Many manufacturers offer phthalate-free flooring alternatives that are cost competitive. Supporting retailers and manufacturers who choose transparency and commit to phasing out dangerous chemicals will help create healthier homes across the country.